Packed with a worlds worth of truth and wisdom, the Sermon of the Mount is the most iconic sermons, and is opened up in this study. Many people ask God: ?If you?re in charge, why are suffering, oppression, war and famine all around?' Chris Leonard takes us through the Sermon on the Mount to find out what Jesus had to say on this subject. Each session includes an ice breaker, suggested Bible readings, an introduction to the study, discussion starters and personal application sections. There is also a leader?s guide at the end of the booklet offering further information and ideas on how to lead each session. This Cover to Cover Bible study can be used equally well by individuals or groups. Sermon On The Mount: Cover to Cover Bible Study by Chris Leonard was published by CWR in November 2005 and is our 2470th best seller. 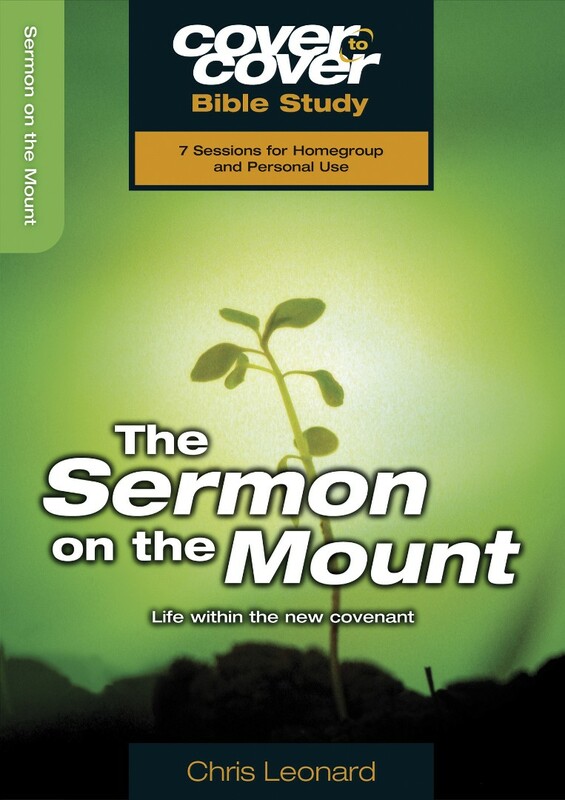 The ISBN for Sermon On The Mount: Cover to Cover Bible Study is 9781853453700. Be the first to review Sermon On The Mount: Cover to Cover Bible Study! Got a question? No problem! Just click here to ask us about Sermon On The Mount: Cover to Cover Bible Study. How many studies are there in this book?